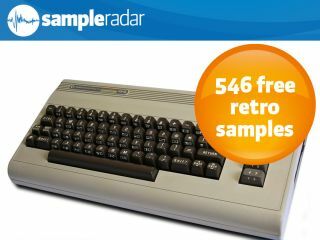 The Commodore 64 is famous for its SID chip. This week, SampleRadar is delivering a vast repository of high-quality samples… of low-quality sounds. Confused? Think Atari, Casio, Commodore 64, Nintendo, Sega, Dr Who (version 1) and Speak & Spell. It's a combination of brutal harshness and delicate pathos that only 8-bit audio can bring. The collection also features some more contemporary flavours, albeit rammed through all manner of corrosive hardware and plug-ins. The samples are split into six folders, each of which contains a construction kit of samples (some also include a demo loop so that you can hear what you're getting into). As well as loops, each kit also contains hits and multisamples. The retro and degraded samples are supplied in a zip file, so you'll need to extract them before you can see them. Enjoy!